Can I be honest here? It’s hard to choose God 100%. Oh, no, don’t get me wrong. It’s not hard to decide that you want to choose God 100%. But in practice, having an undivided heart doesn’t come naturally to humans. Oh. Wait. That’s me too. Sometimes we get pretty scattered. Sometimes we make mistakes. I’m learning that it isn’t so much about the mistakes we make as the direction the arrow is pointing. And when our hearts are divided, it’s like when you put a magnet next to a compass and the arrow kind of flips out and goes back and forth. Ok. I’m sorry. You’ve never seen an actual compass before. Imagine you’re playing Twister, but when you spin the dial, it keeps bouncing back and forth between two colors. Next thing you know, you’re doing the splits. Ouch. 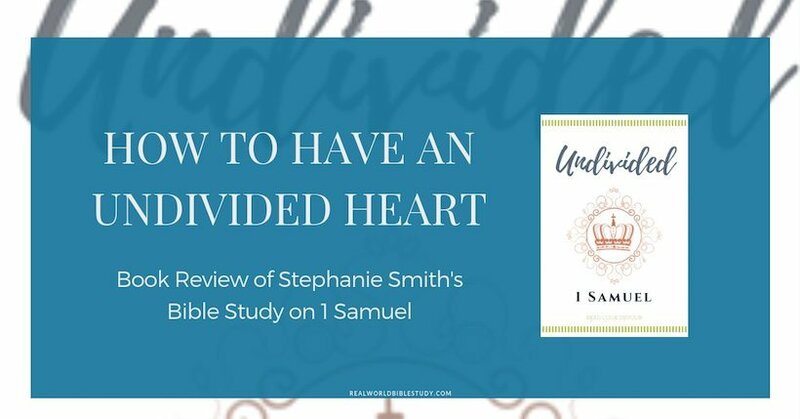 So how do you have an undivided heart? When I teach Bible classes for School of Ministry and elsewhere, I always start with rules of interpretation. And when I talk about rules of interpretation, I give my students a list of tools to get the information they need to interpret the Bible. How do we bridge the gap of time and space to understand what a particular Bible passage meant “back then” and how to apply it to our lives now? One really great tool for interpretation is a study guide. I’m a seminary grad – I write my own study guides – but when I am doing Bible study, I still think it’s so important to use a study guide. Good study guides provide background information, and they ask good questions, questions we didn’t think to ask ourselves. That’s why I decided to review Undivided. That, and I had never studied 1 Samuel on my own before. If you didn’t know, 1 Samuel is the book where a miracle baby is born, a king steps on the scene…no, I don’t mean Christmas, I mean Samuel and Saul and David and Jonathon. This book called me out and challenged me in all the right places that I wasn’t ready to be called out on. 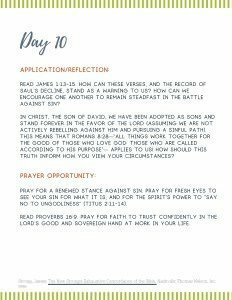 “What might God want you to learn by turning to prayer rather than agitated worry?” The questions were challenging spiritually but not usually difficult to understand. I appreciated the short commentary section, and I liked the way this study was structured. It was set up as a 14 day study, with an option to spread it out over 28 days. This study wasn’t specifically geared towards a particular gender, and I felt like it gave great exposure to scholarly sources without getting too much into the weeds. 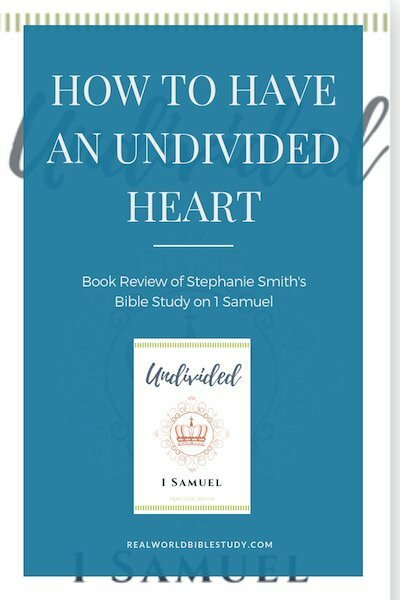 I really found myself grasping onto the word “undivided” as we went through the book, and it became one of my key words for this year. You’ll also probably notice more than a few blog posts (including a few about the Hannah story) that came out of my study of 1 Samuel using this study guide (and a few of my own resources too). There weren’t many of them. 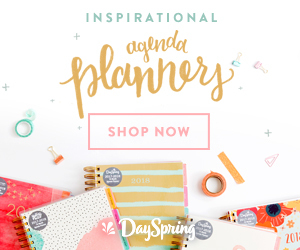 I love the idea of a short commitment of 14 days, but I think many readers, including myself, might struggle to complete a day’s work from this book in a day. Part of this is the nature of narratives for study. You have to read more of the story in order to interpret it, which naturally means more reading. 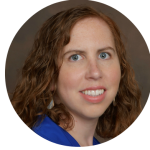 Stephanie accounts for this, recommending that readers could go through the passage one day and go through the study the second day to expand the 14-day study to 28 days. For me, I just go through Bible studies at my own pace, unless I’m studying with a group. If you’re studying independently, you can just study until you’ve had enough for the day, and then come back to it the next day. If you’re studying with a group, just be advised that this study wasn’t necessarily written specifically with groups in mind. Absolutely. If you’re studying on your own, just take it at your own pace and give yourself the time and grace to process and reflect/journal before moving on to the next section. Seriously, though, this is one of the best Bible studies I did this year. So much so that the next one I did was kind of a let-down :/. And can I say, I’m so glad Stephanie picked 1 Samuel? I don’t see nearly enough studies of the Old Testament historical books. God’s story – even the crunchy parts – is so powerful and we need great tools like this to help normal people get into the Word. Stephanie Smith writes at Read Cook Devour where she shares reliable recipes, strategies for kingdom-minded living, and devotional thoughts. 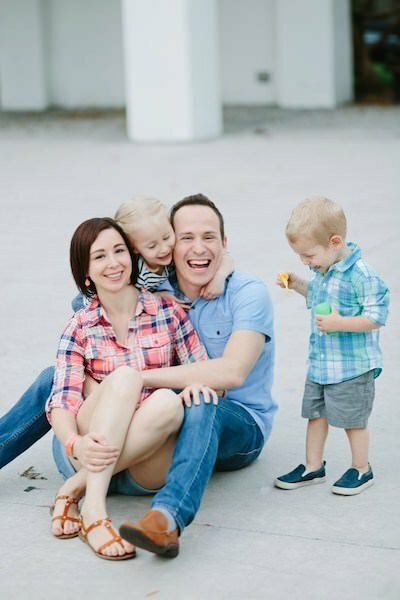 Stephanie lives with her husband and two children on the west coast of Florida. She is most likely to jump into a conversation about good food or impactful literature. In between housework Stephanie takes advantage of her sometimes-clean kitchen to cook or bake another mess. She enjoys a glass of wine, but can usually be talked into ice cream instead.